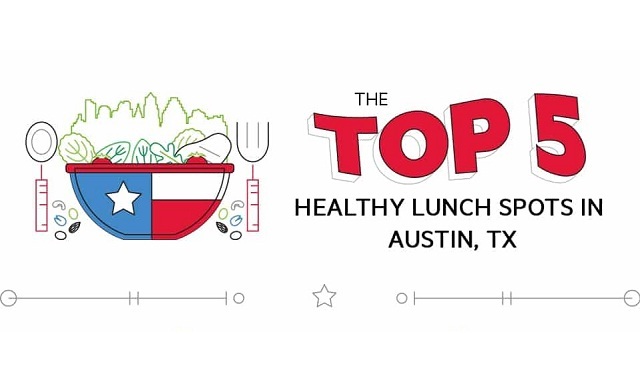 The Top 5 Healthy Lunch Spots in Austin, TX #infographic ~ Visualistan '+g+"
Wherever you go in Austin, there’s somewhere good to eat that’s also good for you. In fact, after six months of research to find the 15 “healthiest, happiest, outdoors-iet, Zen-iest spots in the U.S.,” Women’s Health magazine and Yelp declared Austin one of the “Wellthiest” cities in America. These five healthy lunch spots in Austin are part of the reason why.